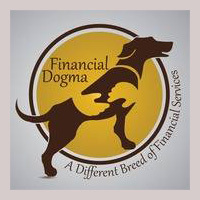 On January 28th from 7-8pm, Ethan Quirin of Financial Dogma will be hosting a free presentation entitled “What to Know About Dog Bites—How to Protect Your Assets”. Other presenters include: Tracey Long from To Love a Canine Rescue, Michael Staffieri from Coe Insurance Services, Andrew Neuwirth from Neuwirth Law Office, and Deb Murray of PeppersPaws. Everyone who attends will be entered into a raffle drawing for prizes! To sign up either visit the Paoli Concord Pet store or call 610-647-1811. In the Paoli Village Shoppes at 43 Paoli Plaza (Concord Pet). Get more info from Eventbrite.